I have a very clear image in my mind of how the folks at THQ Nordic decide it's worth purchasing an intellectual property (IP) or not; it involves a lot of liquor, top ten lists from everyone, and some dartboards. But regardless of how the decisions are made, THQ Nordic is absolutely making acquisitions at a quick pace. This year alone, THQ Nordic has acquired Koch Media (Dead Island, Metro), the Kingdoms of Amalur franchise, and developer Experiment 101. But with the year beginning to come to a close, THQ Nordic shows no signs of slowing down. It announced today that it has acquired horror franchise Alone in the Dark and RTS franchise Act of War from Atari. Alone in the Dark was the frontrunner in survivor horror before Resident Evil was released, with its earlier releases receiving heaps of praise but the later ones really we're so great. Don't worry, it also has an awful film adaptation, released in 2005. That doesn't mean it's a bad franchise, just that it may have gotten a bit... misguided following its initial success. I am expecting a full-on remake due to the age of the first title (1992), and quite looking forward to it as the original story is heavily based on Lovecraft's writing. Related Reading: Our review of Alone in the Dark on the iPad. 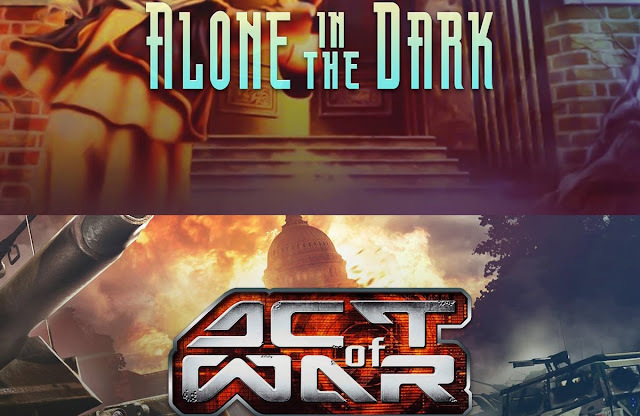 Act of War's only official title is Act of War: Direct Action, released in 2005 with an expansion pack called High Treason coming the following year. It does have a spiritual successor in 2015's Act of Aggression, which we found mediocre at best. To sum it up: Alone in the Dark, yay! Act of War, boo. THQ Nordic? Always an enthusiastic round of applause for the publisher who truly cares about reviving lost franchise!